Portugal is home to some truly iconic images, the yellow trams in Lisbon and the domed roofs perched on top of majestic palaces in Sintra. 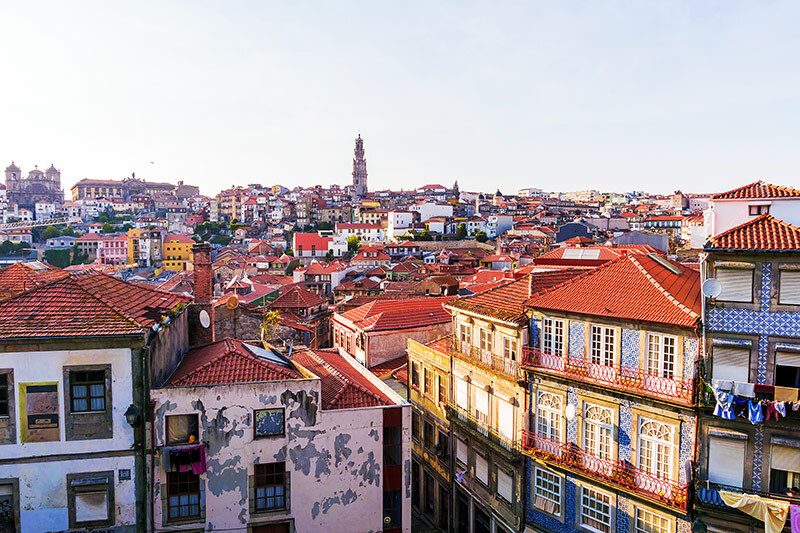 But, these sights can all be found to the south and although it's a popular tourist destination, many often forget about the charming city of Porto in the north of Portugal. It's a hub of historical beauty, winding backstreets and medieval architecture, and a place brimming with colour, particularly on the old town skyline. Many travel from all over the world just to sip the sweet delights of Port, and as the originators, they've perfected the art of creating the spirit. These are just a few of the most bewitching sights in Porto. 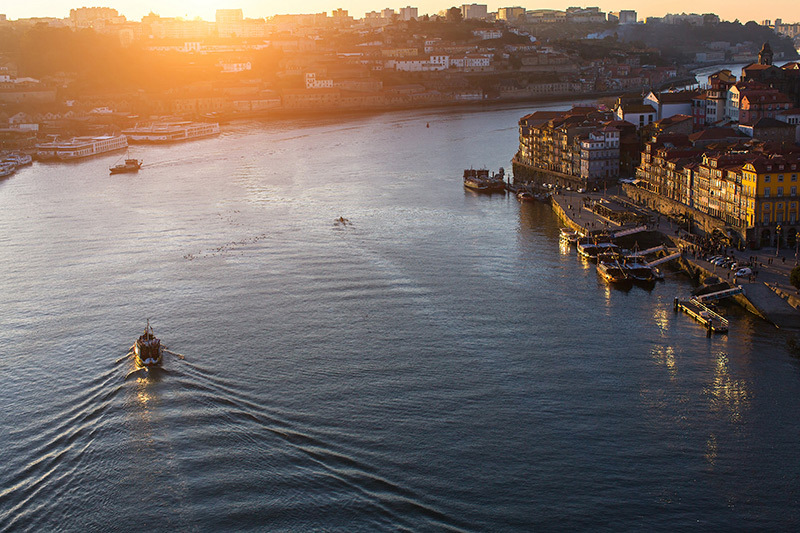 The Douro River is a central part of life in Porto. Flowing from its source, in the Duruelo de la Sierra, which can be found in central Spain and snaking its way through the country and finding its way into the city of Porto, where you can spend a relaxing arfternoon ambling along at sunset and taking in the breathtaking views. 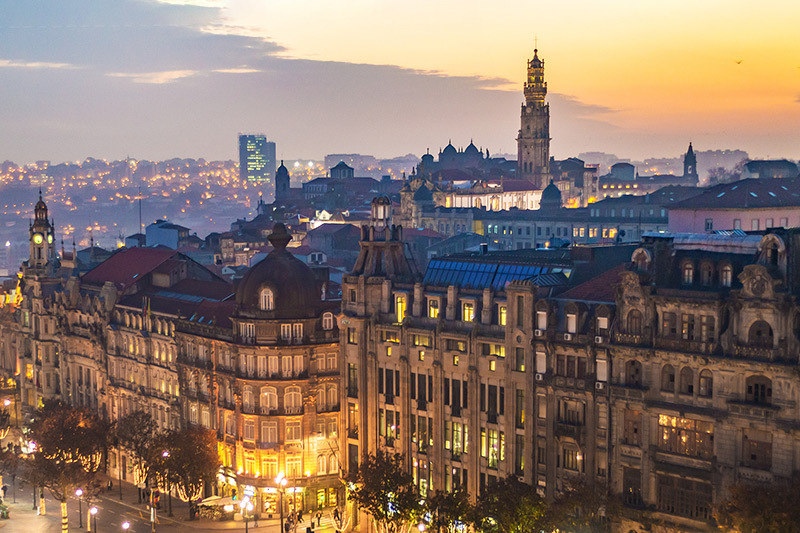 The main square in Porto is home to some striking architecture, it's a place to find the hub of activity and nightlife in Porto, or if you just want a relaxing stroll to take in the sheer beautythe head for Liberdade Square. 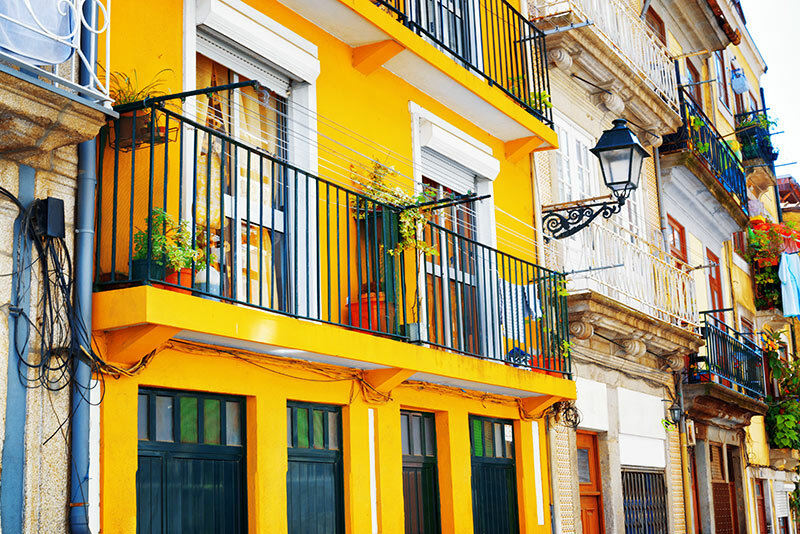 There's one sight sure to catch your eye, the colourful town houses that litter the skyline in Porto. It's hard not to miss them, bright yellows and pastel colours are sandwiched between grey and drab colours. The statue of Prince Henry, a prominent is mounted on top of a large pedestal, and points towards the open ocean—a tribute to the expeditions of a master seaman and encouraging future explorers to go forth and see the world. 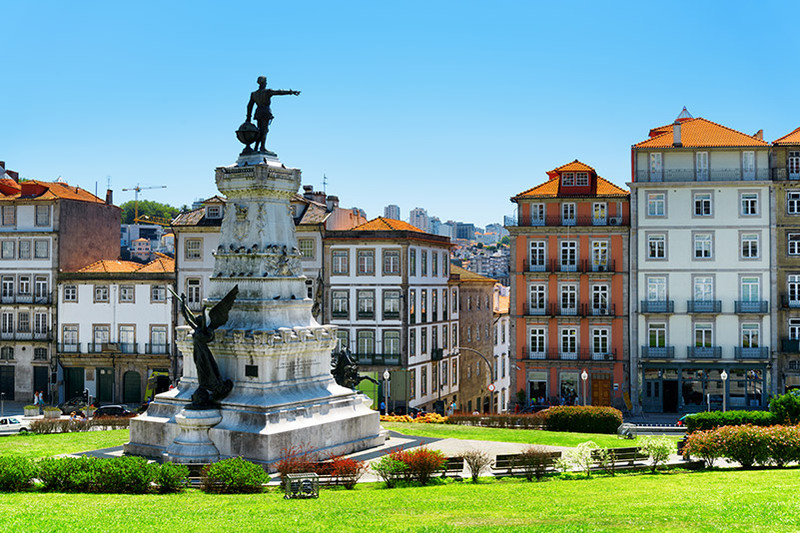 You can find the statue, just up from the Cais da Ribeira, on a large grassy spot, the perfect place for a picnic and watch the world go by. 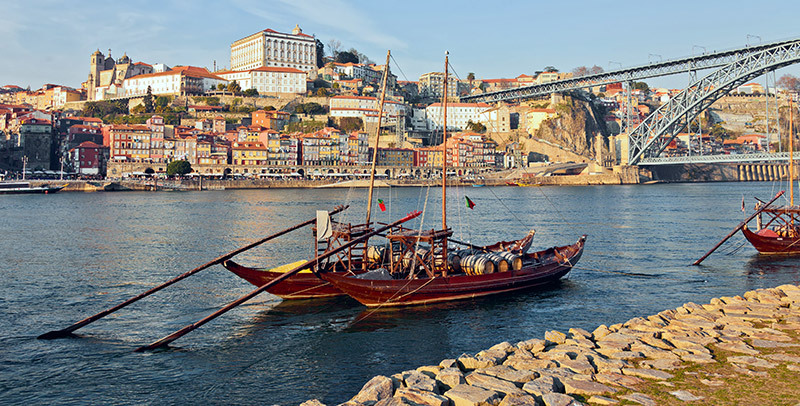 One thing you'll notice about the river Douro is the amount of boats that amble along it everyday and if you really want to see as much of Porto and the country as possible, it's advisable to take one of the many city cruises, you won't be disappointed. What are you waiting for, it's time to book your ticket and discover the a charming city, in the North of Portugal.